You must make reservations at least 5 minutes in advance of the time at Myron's at Alon Town Center. Self Parking - Parking is available directly in front of the restaurant. Via Transit stops at Northwest Military. 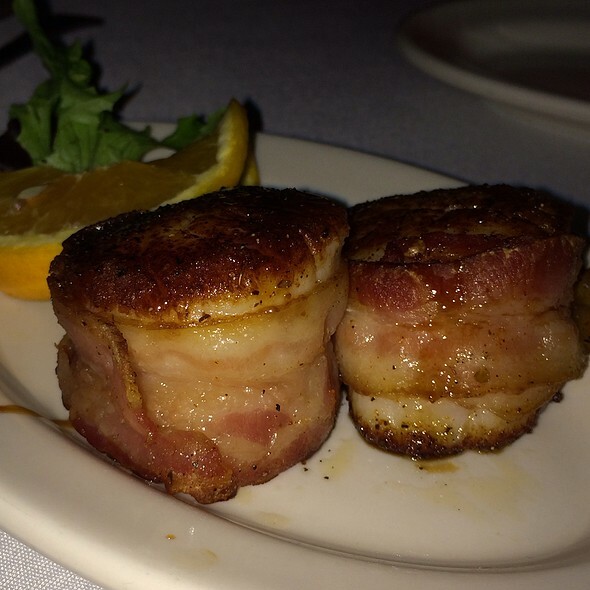 Myron’s Prime Steak House is located in Alon Towne Centre at Northwest Military Highway and Wurzbach Parkway. We are open nightly serving Chicago prime beef, the top 2% of all prime beef in the U.S. A full bar and award winning wine list are available. Owner Bill Been, known to most for his 34 years of restaurant experience In San Antonio, has created a casual but elegant dining experience and invites you to come to Myron's, and enjoy! Was not impressed with the fish special. Really had no flavor out side of the over powering of lemon on the risotto. Fish alone was extremely bland. Husband ordered the porterhouse special and received a t bone steak instead. We didn't say anything because we were celebrating his bday. 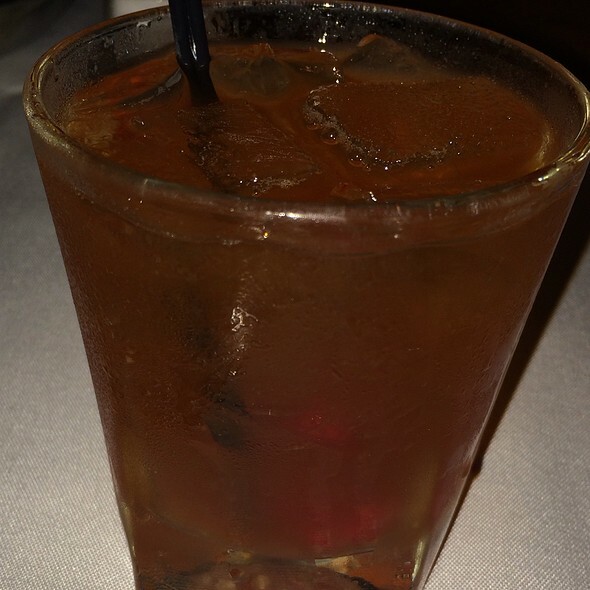 The drink are excellent and no issues or complaints. Excellent service from Kenny, will request him when we come back next month. Steak was extremely tender, shrimp cooked perfectly. Daily fish special was tile fish, one of the best fish dishes I have had in a very long time. And the Jack Daniel's infused vanilla ice cream is addictive. We have gone to Myron's before but only for happy hour which was enjoyable as well. Had a great anniversary dinner at Myron's. Everything was great. food was good..my steak was more on the medium rare side rather than medium as ordered but tolerable. Good flavor. Thought we’d enjoy a nice dinner my husband an I after a long work week.. well we were seated in between two families... thankfully one was finishing up. the other family had a kid that did not stop talking for the 1 1/2 hours we were there. It wasn’t a quiet talk it was loud and annoying. Intelligent kid but a loud annoying voice. I couldn’t hear the soft music playing, I couldn’t relax and enjoy our own conversation. I should’ve asked to be moved but I hoped when the food arrived the kid would shut up... well not even food shut him up. Actually the whole group was loud but the kid’s annoying voice was louder. My point is... restaurants should consider putting families in one area and couples in another area.. or don’t sit a couple right next to a family. overall it was stressful evening. I like the place it’s just that we were seated at the wrong area. Excellent service and the food was delicious. Myron's always makes our birthday celebrations special. Myron’s was a great place to celebrate a birthday. 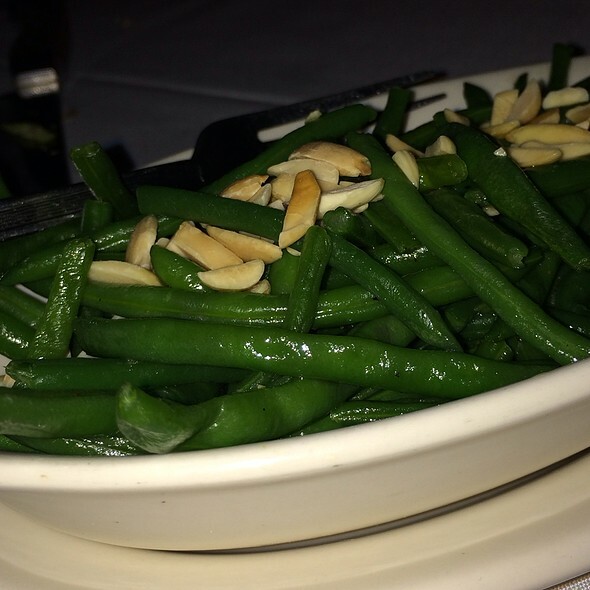 The service was excellent and the food was very good. Our waitstaff was very attentive to every need. I highly recommend Myron’s for a wonderful dinner with beautiful ambience and wonderful service . Steaks are on point!!!! Service is excellent!!! If you want a great quality steak this is the place!!! 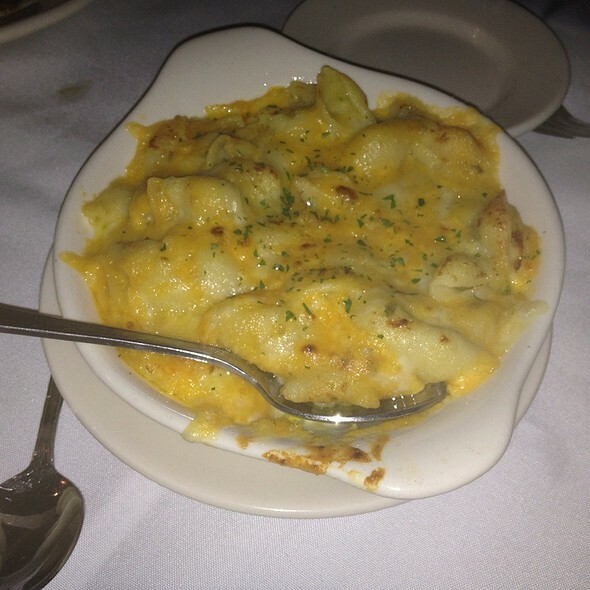 The food and service is always outstanding. We always come here for our anniversary/birthdays. We love it. The presentation is beautiful and the wine recommendations are always spot on. This is our favorite spot for fine dining. Excellent service!!! Food was fresh and tasty. Loved the Snapper special! Great wine selection. From my very first visit a couple of years ago, I've been a fan of Myron's! Excellent service, food and atmosphere! It's become our place for family celebrations and visiting friends! Anthony was very personable and funny. Steaks were beautiful and tasty. Wedge salads were back to lots of dressing. Jalapeño Mac and cheese is always delicious. Enjoyed great reasonably priced bottle of cab. We did close the place down, but never felt rushed at all. On our most recent visit, we ate outside the steak box. My wife had the succulent pork chops, which I've had before, and they're absolutely fantastic. I had fish (! ), the pompano catch of the day, topped with crawfish etoufee. 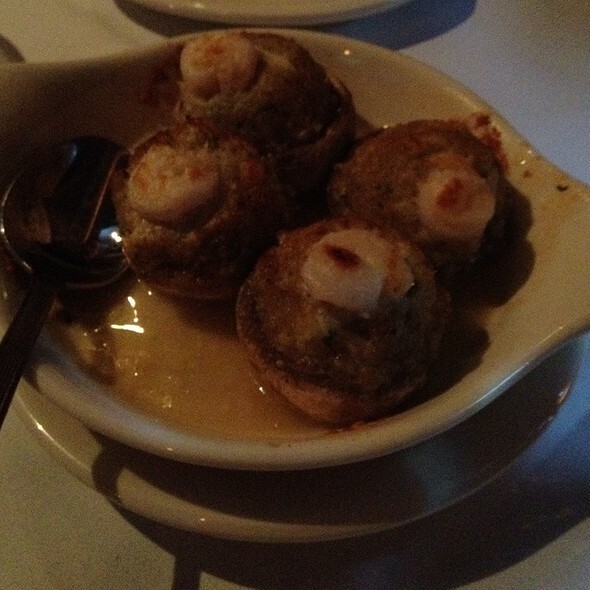 My appetizer was escargots, which were good-sized and plump, but came drowning in a shallow dish of foamy clarified butter. Too much of a good thing. Service was, as usual, friendly and efficient. From the time you walk in, you feel very welcomed! Chris is a GREAT server, everyone is so friendly! Our FAVORITE Steak House! Always great!! Steaks are the best, staff is friendly. Everything was fabulous! Steak was perfectly cooked even when we shared it. Great cuts, sides, wine and service! Definitely recommended! 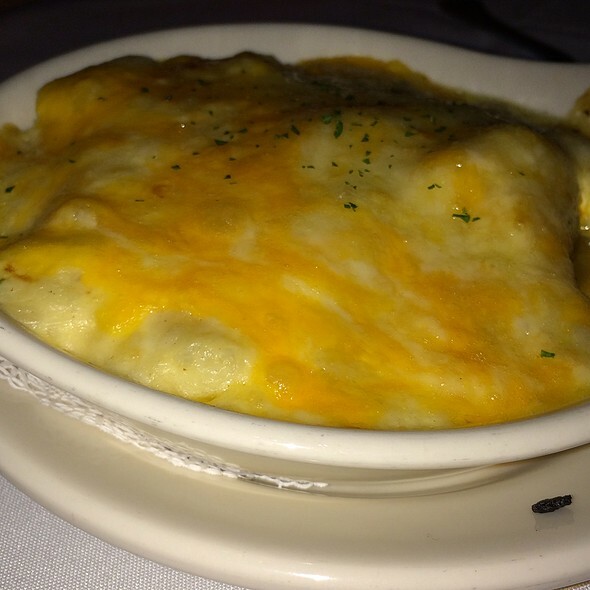 Myron's is one of our favorites. 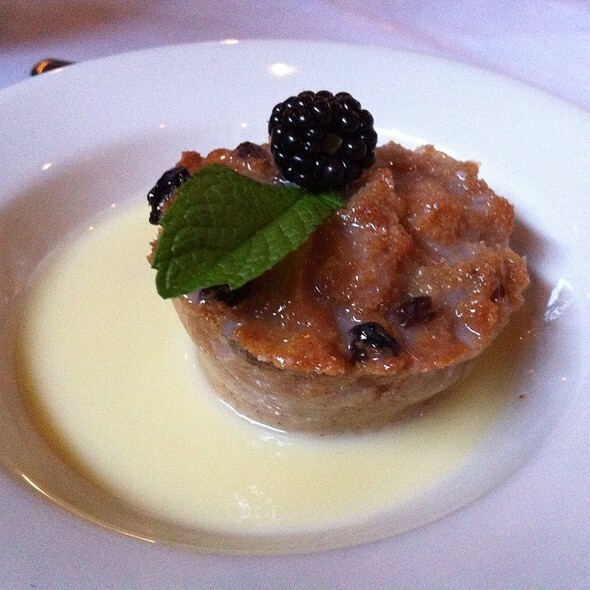 The food and service are always consistently outstanding. For a Saturday night, it wasn’t packed, which was nice. Hostesses were huddled around the hostess stand when we arrived and stayed huddled through us giving our name for the reservation and getting seated. Not what I expected out of “fine dining.” We felt as if the tables were small and too close to each other for this type of restaurant. Dinner was fine. We ordered 2 appetizers, some drinks from the bar were ordered and the beers came out within an appropriate time. We think a chocolate martini that was ordered never got put in because it didn’t come out with the rest of the drinks. No one knew what kind of hot tea was offered. I asked for a straw and it was given to another guest at the table so I had to ask for one again. Quail appetizer wasn’t good. I wasn’t overly impressed with the Myron’s Shrimp. We ordered a ribeye, server tried up-selling it to Oscar, we respectfully declined. Spoiler alert- it came with the crab/ asparagus on top. We told the server we didn’t order that, but we said it was fine. We were still charged for it even though we pushed it aside and DIDN’T order it. Server accidentally spilled a beer as she was setting it on the table, it spilled all over my husband’s pants and shirt. We were moved to another table and offered dessert on her. I’m a big creme brûlée fan, but this creme brûlée wasn’t great. Not sure if we will return. We definitely expected a better experience. Excellent dinner and service. Best NY strip I can remember, and my wife's filet was superb. They don't have a children's menu, but can easily share a large side and share off of the main course. Myrons is our special event venue, birthdays, etc. Always great experience. 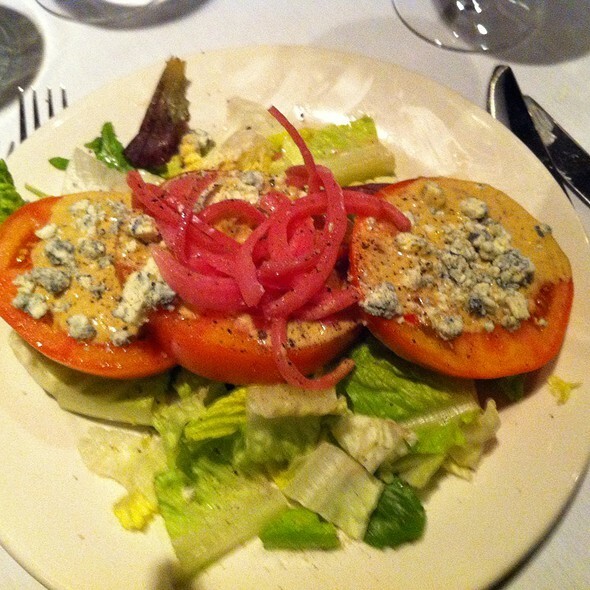 We always enjoy our visits - it is our favorite upscale restaurant. Wonderful evening with the wife and I. Dinner was fantastic. Drinks were great, dessert was phenomenal! Way overpriced and everyone in our party got stomach problems after eating there. Meat may have been too tenderized or just not good quality. We order 3 different steaks. The ribeye is my mainstay, it was outstanding as always. The fillet was the best... it was cooked perfectly, and melted in your mouth. The service was outstanding and friendly, as always. Love the ribeye steak. Great place to go for any occasion. 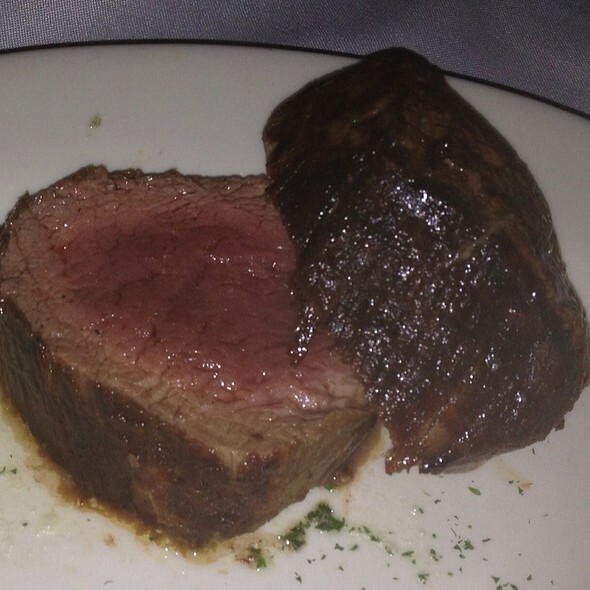 We have been on a quest to try all of the upscale prime steakhouses in San Antonio. Myron's ranks close to the top of the 8 we have been to so far. Charlie, our waiter, was awesome as usual. He does a wonderful job of guiding us through the evening with wonderful suggestions and selections. This was our second visit and this time we brought friends, who are now Myron’s fans. Great everything!